Travellers are being urged to protect themselves against disease after a hospital in Swindon revealed it had treated cases of malaria and the rare tropical diseases leprosy and dengue fever. In response to a Freedom of Information request, the Great Western Hospital revealed that it had dealt with patients with these conditions between January 1, 2007 and December 31, 2011. The data show that the hospital treated 15 patients with malaria over the five year period, a woman, aged between 66 and 75, suffering from leprosy in 2010, and a male, aged between 10 and 25, with dengue fever in 2011. In 2011 eight of the 1,677 people in the UK who were treated for malaria died. 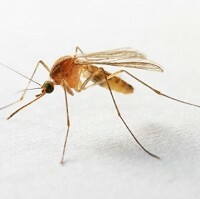 Both malaria and dengue fever are caught by being bitten by an infected mosquito and their seriousness highlights the need for comprehensive travel insurance when visiting the tropics. Chairman of the Family Doctor Association, Peter Swinyard, said that the risk of people from the UK contracting tropical diseases had probably increased because of cheaper air travel. He said: "The core message really is if you are travelling outside Europe, think about travel immunisations, think what you might need and if you have even the slightest doubt, ask your surgery. "